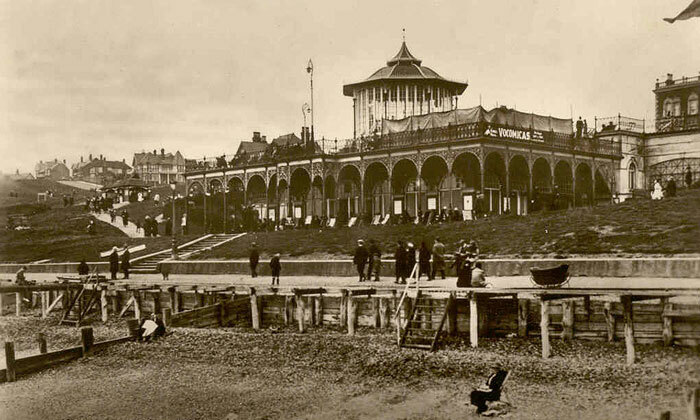 An architectural gem, captivating visitors with its original Edwardian features and idyllic seafront views, The King’s Hall was opened in July 1913. Formally the East Cliff Pavilion, the venue was officially opened by Princess Henry of Battenberg; the youngest daughter of Queen Victoria, who named the new concert hall the ‘King Edward VII Memorial Hall’ after her late brother. With the name shortened to The King’s Hall, the building has been the centre of much of the town’s social life for over a century, with the now defunct bandstand on the roof a popular arena for military band concerts. In more recent years, the venue has been host to a fantastic range of entertainment, including live music, comedy, festival events and much more.